In February 2015 the then-Abbott Government initiated the selection of an international partner for Australia’s future submarine program by inviting French, German and Japanese interests to participate in a Competitive Evaluation Process (CEP). Swedish interests were pointedly excluded and the CEP focused on selected submarine builders who have never done submarine business in Australia. 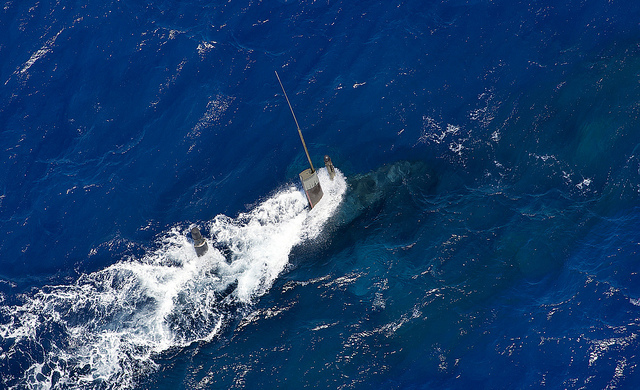 Consequently, the Australian submarine CEP ignores hard-won local submarine-related knowledge accumulated over the three decades of the Collins Class submarine program. The CEP is a far reaching departure from Australia’s conventional defence business model based on open and effective competition. The latter is a blunt instrument—especially for procurement of our future submarines. In such procurements, open and effective competition typically costs both customer and candidate suppliers much time and money without eliminating the need for ex ante judgement that either or both customer and supplier may regret ex post, when better information is available. In competent hands, however, open and effective competition enables governments to trade time and money for increasingly well informed procurement choices. In an earlier contribution to The Strategist , Mark Thomson suggested that the viability of the CEP as a strategy for achieving value for money in the provision of Australia’s future submarines depends on how the Government handles the proposals generated by the CEP. Recently, Grahame Dunk pointed out  that the Government and its advisers seem to have embraced the CEP as the process of choice for procurement of pivotal platforms ranging from future submarines to air warfare destroyers and off-shore patrol vessels. For all those reasons, the Australian taxpayer deserves a better explanation as to why the CEP will achieve better value for money than open and effective competition. In Australia’s version of the CEP, the defence customer states a requirement for military capability in broad, functional terms and invites a small number of potential suppliers to submit commensurately broad proposals for solutions to that requirement. The defence customer then selects one candidate supplier for negotiation of more detailed arrangements and, if things go well, with whom it concludes a procurement contract. By the standards of open and effective competition, the CEP for Australia’s future submarines is quick and brutal: contract negotiations with the preferred candidate are scheduled to begin within about a year of the process’ initiation. Under both CEP and open and effective competition models, good procurement outcomes depend on the quality of information available to the defence customer who must judge the relative value for money of proposed solutions to a requirement and the relative appeal of suppliers of those solutions. But the efficacy of the CEP model is much more dependent on the quality of information available to the customer ex ante: we might reasonably expect good value for money to flow from a CEP run by a customer with a clearly formulated requirement, with detailed information about candidate solutions to that requirement and with detailed knowledge of the competence of the suppliers of those candidate solutions. These conditions don’t, however, apply in the case of Australia’s future submarines. Rather, Australia’s hairy chested handling of the CEP to date stands to compromise its ability to make an informed selection of an international partner for our future submarines. That’s partly due to asymmetries in the information available to, on one hand, the Australian defence customer and to, on the other, those candidate suppliers the customer has invited to participate in the CEP. Competent users of the open and effective competition model of defence business explicitly recognise such information asymmetries and seek to manage them via a staged process of expressions of interest, proposals, tenders and parallel contract negotiations. By contrast, the Australian version of the CEP requires the Government and its advisers to choose our future submarine partner on the basis of coarse information generated by the indicative designs, rough estimates of cost and schedule and declarations of intent provided by the CEP participants. Principal-agent theory suggest that that those proposals will be characterised by massive asymmetries in the information available to, on one hand, the Government and its advisers and, on the other hand, the French, German and Japanese participants. There’s no way that the kind of CEP-based competition conducted to date will create sufficient incentive for the CEP participants to provide the Australian principal with the kind of information it needs to manage those asymmetries effectively. Such up-front agency risks are exacerbated by the defence customer’s stated intention to select one CEP participant as a candidate partner with whom they will negotiate more detailed arrangements. The lack of competitive tension in this downstream scenario will, obviously, further undermine the ability of Australian Defence officials to identify and bridge agency-based information asymmetries. Looking further downstream, those information asymmetries are exacerbated by the developmental nature of our future submarines. Neither defence customer nor selected supplier can anticipate every development in the future submarine project and negotiate, ex ante, contingent provisions in the contracts that will satisfactorily cover unexpected design and production challenges that occur ex post. Hence the contract for the future submarine will be, inevitably, incomplete. In these circumstances, satisfactory procurement outcomes depend on the quality of the relationship between principal and agent. The knowledge-based arrangements required for handling the unexpected are built up in the course of doing business: they cannot be derived from declarations of good faith in the CEP. To identify the CEP’s deficiencies isn’t to suggest discarding it in favour of, say, open and effective competition. Marise Payne envisages asking the Swedes to help upgrade the Collins Class so as to avoid a submarine capability gap pending completion of the future submarines. This creates an opportunity to harvest not only new submarine business opportunities identified via the CEP, but also hard won knowledge generated via the Collins Class submarine program. To this end the Turnbull Government could consider modifying the architecture of the CEP it inherited from the Abbott Government and taking advantage of Defence work in 2014 with the Swedes on an evolved Collins Class design. The Government could direct Defence to proceed to post-CEP negotiations with two candidates: one drawn from the French, German and Japanese participants in the CEP; the other based on a SAAB Kockums proposal for an evolved Collins Class. Bob Wylie is a lecturer at UNSW Canberra. Image courtesy of Flickr user Royal Australian Navy.